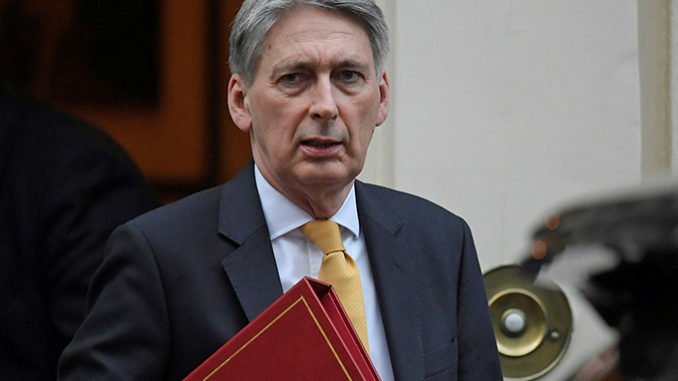 Chancellor Philip Hammond’s latest budget on 29 October was predictably disappointing for our NHS, with no new funding promised. Despite claims from Hammond that the NHS was, ‘A precious institution that [had] been nurtured for most of its life by Conservative governments.’ NHS budgets have always been most at threat under Tory Governments. Phillip Hammond spoke of addressing ‘waste’ in the NHS and of reforming it. While Keep Our NHS Public would always welcome proposals to make the NHS to be more efficient – even after well over 10 years of NHS trusts being asked to make 3% annual ‘efficiency savings’ – this has escalated to 4-5% or more under Conservative and Con/Lib Governments, and there is now very little fat left to cut. The 50,000 cancelled operations last winter and rising waiting lists, to over 4 million today, are down to the deliberate cuts by this government, not ‘inefficiency’. We didn’t just hand over money, we agreed that the NHS would produce a 10-year plan setting out how the service will reform, how waste will be reduced and exactly what the British people can expect to get for their money. To any health campaigner this new ‘10-Year Plan’ should ring alarm bells. The NHS is littered with government initiatives (the Nicholson Challenge of £20bn cuts (2010-2015), Five Year Forward View (2014), the Naylor Review (2017), accountable care and integrated care providers etc) which have all been trojan horses for cuts and closures. Keep Our NHS Public has already detailed how the promised ‘extra’ money must be viewed with a heavy amount of scepticism. See also budget analysis at Health Campaigns Together. All leading think-tanks and experts maintain that the NHS needs at least 4% uplift annually – in addition to inflation – in order to keep pace with demand. In June Theresa May only offered 3.4% – and in reality only 3% when budget cuts to capital funding, public health, training, education and research are included. The average annual real increase to meet the population’s needs was 4% between 1950 and 2009/10. The average funding under Conservative rule fell to 1.5% over the 9 years 2010/11 to 2018/19. 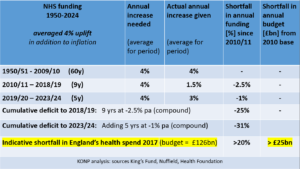 Therefore, the Treasury plan for NHS annual funding to have risen by £20bn for the year 2023/24 amounts only to a further 1% per year, a total of over 30% underfunding of need since 2010. No recovery from government-imposed debt – ongoing undermining of NHS services. Extra money was of course promised from the ‘Brexit dividend’ – more smoke and mirrors and outright lies form the Conservatives. The claimed £350m on the big red bus has long been called out as a fallacy. From within the Conservatives’ own party, chair of the Health & Social Care Select Committee, Sarah Wollaston called out the plan as ‘tosh’ at the time. It is therefore questionable not only how much money the NHS will receive over the next 5 years, but rather if it will in reality receive any at all. In 2016 Theresa May promised £10bn for the NHS but analysis exposed how, in fact that figure dwindled to a mere £800 million. A further £1bn cuts are scheduled for public health. We have already seen damaging cuts to a wide range of vital services: health visitor and school nurse budgets, sexual health, smoking cessation, through to alcohol and drug misuse – which will have negative impact on the nations health and therefore NHS budgets. Cuts to education and training of health staff are dire in the face of the current NHS staff vacancy rate – 50,000 for nurses and doctors alone (104,000 overall), with no solution in sight. Trusts in debt and if the planned funding merely pays off the ‘debts’ incurred by trusts because of underfunding, it will amount to little or nothing. It will certainly not begin to repair the damage done. NHS capital investment which is used to refurbish, build and pay for equipment has been drastically impacted. This endless ‘robbing Peter to pay Paul’ tactic will only ease pressures in the short term and inevitably create bigger problems further down the line. The £20bn has been ring-fenced only in England and there are no guarantees that services will be protected in other parts of Britain. A recycled commitment to mental health ? As part of the new 10-year plan (soon to be finalised), the government reiterated their commitment to parity of esteem for mental health alongside physical health. As we have previously reported they have notoriously failed their own targets on mental health since coming to power and show no signs of tangibly addressing this inadequacy. The Conservative’s track record on mental health is abysmal and there has still been no commitment to ring-fencing budgets. Hammond set out a vision of how there would be a new NHS mental health crisis service available in every A&E, children and young people’s crisis teams in every part of the country, more mental health ambulances, more places of safety and a new dedicated 24-hour crisis hotline. However, based on the previous track record of this government these promises are likely to be hollow. As we have previously detailed, overall £7bn has been taken from social care budgets by successive Conservative governments and any new offering must be measured against the devastation of local services. 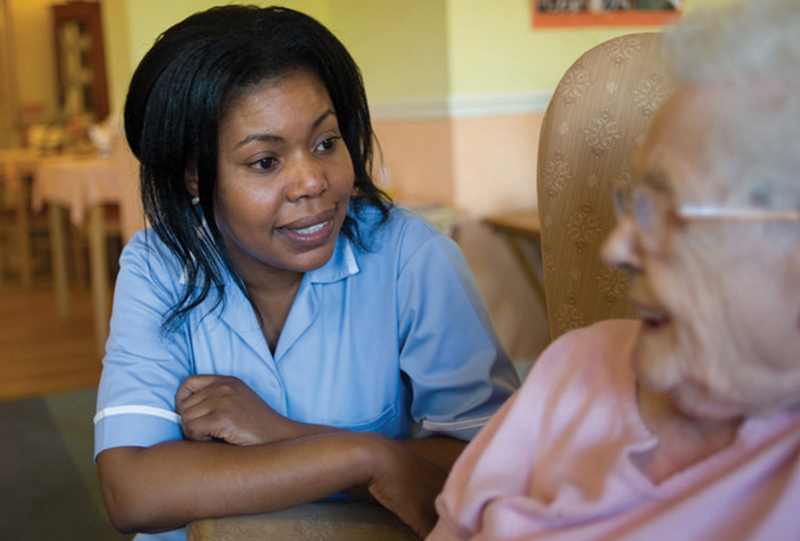 The chancellor repeated the commitment to award £240m to social care this winter in a bid to ease pressures and announced a further £650m grant funding for English social care authorities 2019-20. Increased scrutiny of the extra funding by the DASS (Director of Adult Social Services) puts that figure at a mere £410m. And figures reveal that there are already £700m of cuts planned to social care budgets around the country so any ‘new’ money is already spoken for. To meet growing adult social care needs and to repair the damage done. £billions are needed now, plus an annual 3.9% uplift on a budget that was £21.2bn in 2016/17. It will do very little to address any immediate issues and will certainly not make up for years of neglect and cuts to come. It is, as Labour leader Jeremy Corbyn pointed out ‘a drop in the ocean’. It is abundantly clear that this government is not willing to give social care the funding it so desperately requires. Yesterday’s budget was not the end of austerity. Even with yesterday’s budget, two thirds of the planned welfare benefit cuts will still be rolled out. Outside of the NHS, departmental budgets are flat. And the Resolution Foundation this morning revealed that some departments face a further 3% cut in their budgets by 2023. For most people, ending austerity isn’t just about halting some of the cuts planned by the Government. It’s about lifting the burden that austerity has imposed upon them and their community. It’s about repairing some of the damage that’s been inflicted on our society. That has undermined our social fabric. All this means in real terms, an under-funded NHS service struggling to meet the needs of a nation which is more unhealthy, suffering higher levels of mental health problems, where poverty is rising which as a result in some areas, life expectancy is now falling. 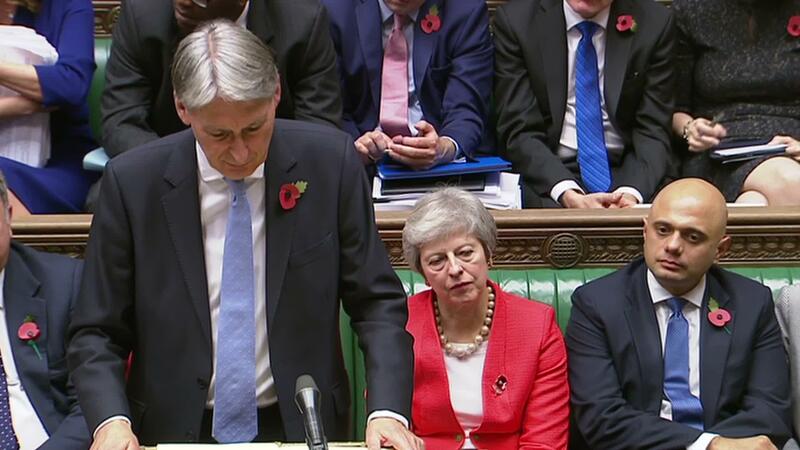 Looked at from this perspective Hammond’s budget offers no respite at all. No mention was made in this budget of the increasing challenges of winter and no acknowledgement was given to the staff that struggle daily in ever worsening conditions. On the Government’s projections [the NHS] will get more money in 2023, but actually next year health services in this country are going to be cut by about a billion pounds, and there was no emergency money for the NHS this winter, and we’re on the brink yet again of a desperate winter in the NHS. Winters have got so bad in the NHS that we’ve even had the Red Cross branding them a humanitarian crisis. So the extra money that will be coming on stream in 2023, five years from now, yeah good, we want more money, although lots of experts have said it’s not enough. But what about now as we face a difficult winter and what about next year when health services are going to be cut by a billion pounds? So I’m afraid when you examine the fine print this health announcement isn’t all that we would hope. This government clearly cannot be relied on to offer what is required. The onus is yet again placed on the staff to ‘reform’, cut ‘waste’ and do more with less, to perform miracles with very little. It’s high time this government reversed it’s hostile policies towards the NHS. NHS activists must redouble their efforts in the months and years to come. What can you do to save the NHS? I don’t think this is a matter of ‘cowardly’ or ‘stupid’ Tories to be honest. The Government appointed Simon Stevens to do a job for them and he is doing a job for them, in keeping with an ideology that is in the ascendant at the moment. 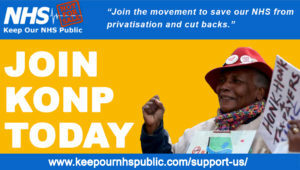 I think the job of KONP is to combat their ideology that believes that public services are a waste of money, that funding should be slashed and that privatising public services where possible will be a healthy source of profit. We have a lot more than one individual to counter.